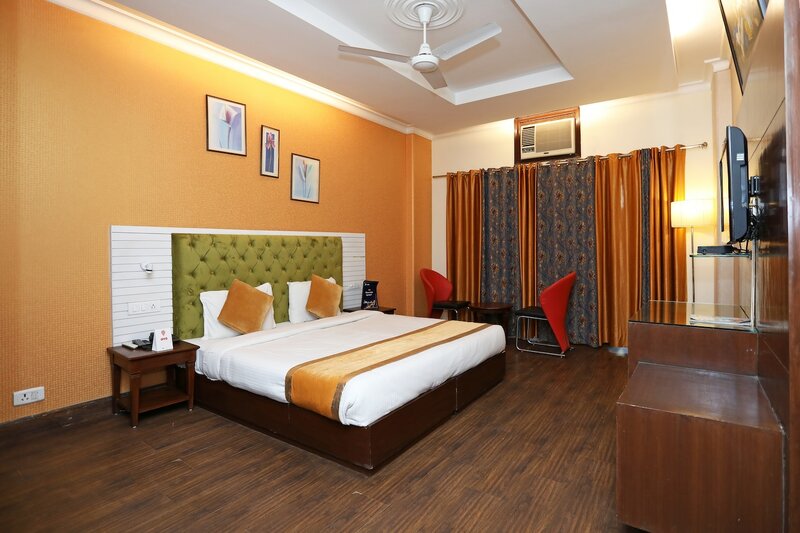 Hotel Sufiyan is a fabulously decorated budget friendly hotel with bright and comfortable rooms, located near the popular Arjun Marg shopping market in Gurgaon. The rooms of Hotel Sufiyan are nicely decorated. The wooden flooring, and the light toned wall claddings give the rooms a spacious look. The beds have a nice headboard to relax their heads. The rooms are done in warm yellow tones and are decorated with nice wall paintings. All the rooms of Hotel Sufiyan feature a television, a mini fridge, and an air conditioner while all the bathrooms feature a geyser. Guests are also provided free Wi-Fi, laundry service, and CCTV coverage. Whats Nearby Shyam Chowk and Golf Green are the tourist attractions that can be explored easily from here. Some restaurants in the vicinity of Hotel Sufiyan are Halki Aanch, Dana Choga, Tunday Kababi, and Burger Homes.